DescriptionJust the right size for a piece of wedding cake, this elegant, yet sturdy card box combines white and grey marble with gold lettering to create a glamorous accessory for your big day. Each pack contains 10 Cake Boxes. 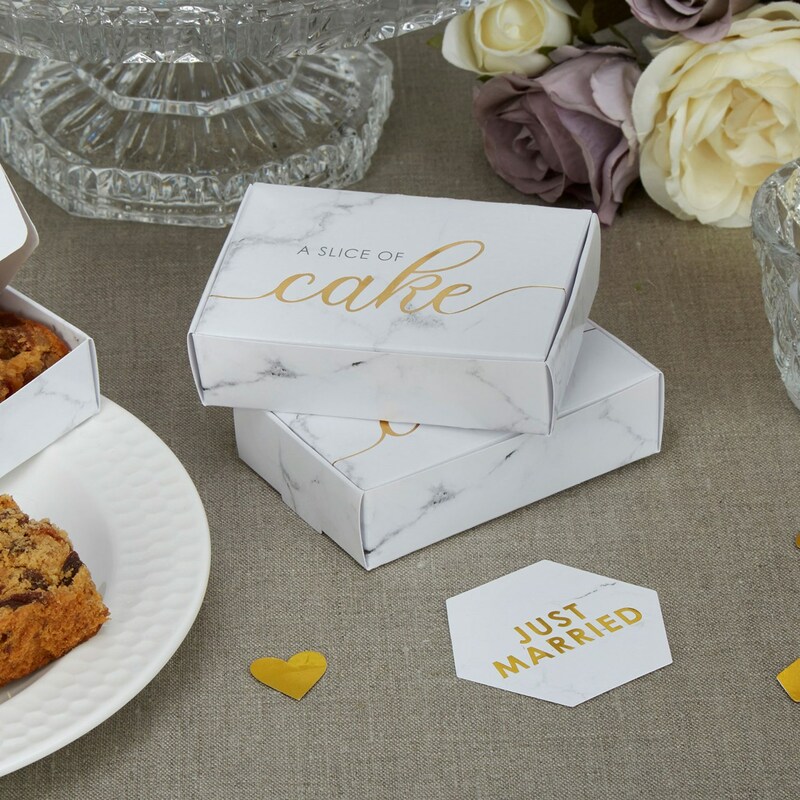 Just the right size for a piece of wedding cake, this elegant, yet sturdy card box combines white and grey marble with gold lettering to create a glamorous accessory for your big day. Each pack contains 10 Cake Boxes.